Great Britain’s cyclists are pursuing Olympic gold in Rio this week aided by a revolutionary skin suit and helmet that is said to make them an astonishing seven per cent faster on the track but, unsurprisingly, British Cycling refuse to discuss the science behind the special drag resistant clothing so we’ve taken a look into it for you. A few weeks ago it was revealed that the British riders from the men’s and women’s team pursuit quartets, as well as the men’s team sprint trio, had set unofficial world records at their training camp in Newport and sources close to the team have since said that the outfits, whose designs first appeared in patents in 2013, made a significant difference, helping to shave more than three seconds off of a 4km race. The new drag resistant clothing, to be debuted at Rio features ridges and an aerodynamic cycling helmet with an air duct running through it and researchers at UK Sport and the English Institute of Sport (EIS) designed the new helmets and clothing as part of the attempt to use technology to produce “marginal gains” in speed for the British cycling team. Unlike the helmets worn by the British cycling team at the London 2012 Olympic Games, which were a solid tear drop shape, the new helmets have air ducts running through the shell of the helmet that reduces drag and sources claim that by using two intake holes to channel air through the helmet into a large single outlet at the back it can force air flow along the riders back when they are leaning forward and improve how the cyclists cut through the air. 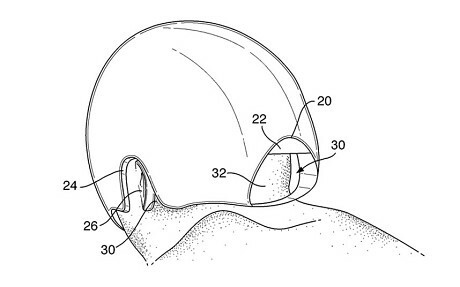 The helmets also let the wearer leave their ears exposed so they can hear what’s going on around them, something you can’t do with other aerodynamic helmets. 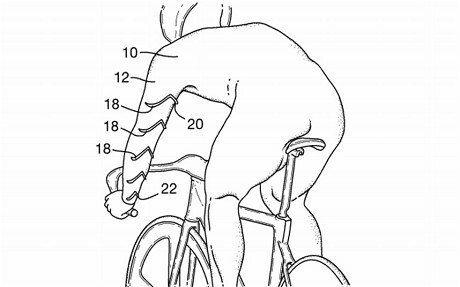 The clothing is also revolutionary and the inventor, Robert Lewis, an engineer with aerodynamics consultancy TotalSim, which works with UK Sport found that disrupting the flow of air around the riders arms and legs with plastic “kicks” shaped like dams or chevrons around 50mm apart on the back of the riders limbs produced the best results. “It has been found that in cycling, air to the rear of an arm or leg flows upwards along the arm or leg and is a significant cause of overall drag on the cyclist. By including an air flow disruption device on the rear of the arm or leg, this flow is broken up, reducing the overall drag,” said Lewis. “The kicks can be made of any suitable material, but conveniently they are moulded plastic stuck onto a cyclist’s suit. Alternatively they can be made by heat moulding the material of the suit,” he said. Of course, while the suits themselves seem poised to give Team GB a significant edge on their rivals at Rio the “Secret Squirrel Club” – Team GB’s team of elite inventors and researchers based out of “Lab X” as they like to call it in Cambridge still have other technological tricks up their sleeves to shave even more time off of the teams laps. From the aerodynamic paint used to coat the bikes and the new light weight composite materials developed for the team by the UK’s three top Forumla 1 teams, Mercedes, Williams and Red Bull, to the new ceramic chains, carbon fiber 3D printed shoes, the re-designed aerobars, wearables that monitor sweat and vitals and real time analytics technologies noone can say that our team isn’t serious about taking the gold and all of this on a budget of just £30 million. 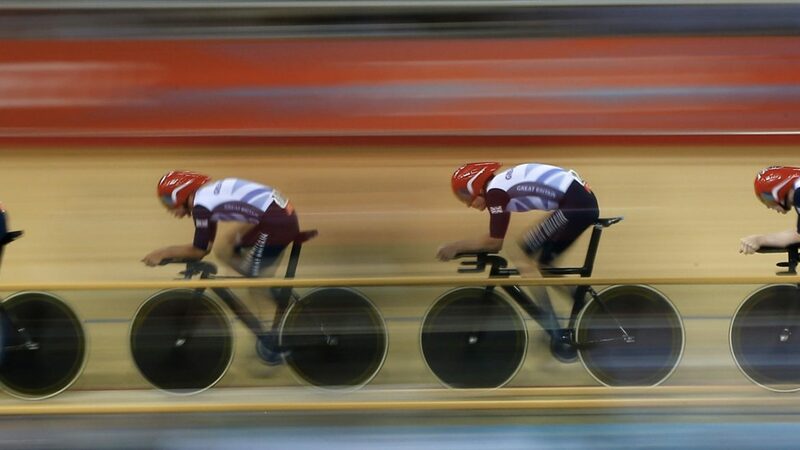 But, lest we forget the most important piece of machinery in the game – the riders themselves, finely honed, highly dedicated, laser focused athletes pushing out 800 watts of power travelling at speeds of over 70km/h they’ve trained for over 10,000 hours to get to Rio and that is the most impressive feat of of all. Keep your eyes peeled and let me know if you see all the mods and good luck to Team GB!